Walking or cycling: these are the most common methods to do the Way to Santiago, but did you know that you can also do it by horse? 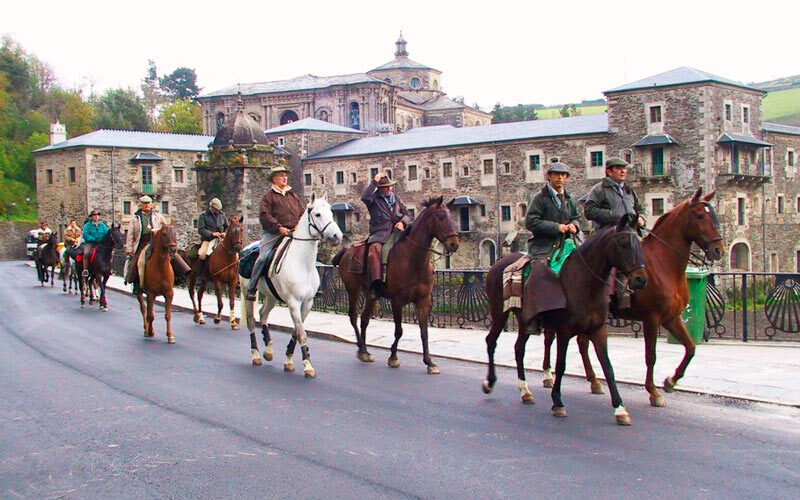 For those who love equestrian routes, the Way to Santiago by horse is one of the most popular options. Being one with nature, the environment and the animals is an unforgettable experience. In Fascinating Spain we want to show you how to go ahead with this option, as well as encouraging you to try this different experience to complete the Way. To do the Way to Santiago by horse, you should prepare more carefully than walkers or cyclists. Keep in mind that you’ll depend on an animal to reach Santiago, so you’ll have to take care of him. You need to map out the route and study all the stops: the slopes, technical difficulties that may arise, accommodation for your horse, etc. Firstly, if you decide to do the Way to Santiago by horse you should know that the best seasons to do it are spring and autumn. The winter conditions are really hard for the animal, and in summer, the heat and the lack of water could be two very negative factors. In general, there’s a stop every 30-35 kilometers (21,74 miles), and each stage will take you approximately 6-7 hours per day. We recommend you avoiding long routes to let the horse rest. Otherwise, the animal will have to stop and have a break from time to time. Once you have studied the way, looking for accommodation should be your next priority. 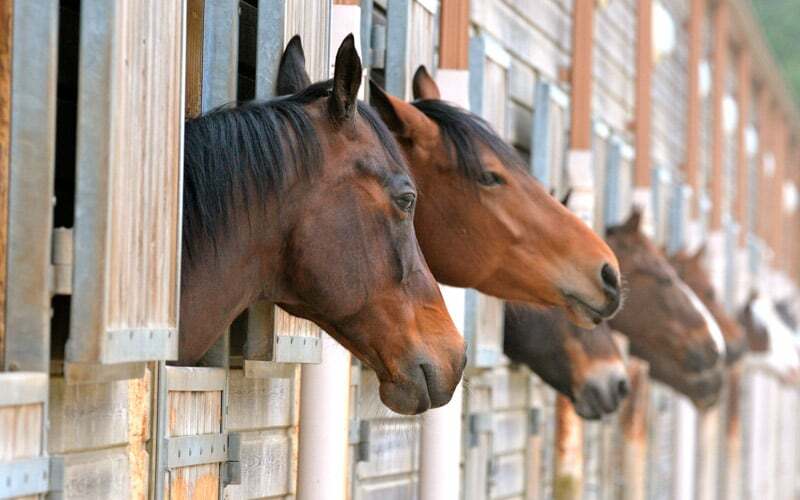 There aren’t many hostels equipped with the necessary facilities to host a horse, even though hostels with stables are more frequent on the French Way. That’s why we think you should book everything beforehand and avoid surprises, as you’ll have the security of sleeping at the same place as your horse. Even though you don’t have to be an expert rider to do the Way to Santiago by horse, it is recommended to have some riding experience. Injuries and rubbings are likely to happen if you go on without any previous training. You’ll also need to consider the equipment. If you aren´t a professional rider, it’s important that you wear a helmet to protect your head. In addition, we recommend you wear gloves to take care of your hands and to put on suitable riding clothes and a raincoat. On the other hand, don’t forget that your horse is the star when doing the Way to Santiago by horse. This means you’ll have to invest on his care. Not all horses are ready to do the Xacobean route. We recommend you train 3 months before with the material that you’ll be using on the Way. You can opt for a horse, a donkey or a mule which is healthy and trained to avoid getting scared of cars, animals or other pilgrims. This is a relevant point, as you’ll be riding on the road and you’ll go through the countryside, so you’ll stumble upon many obstacles. Safety is also linked to the correct equipment of the animal. 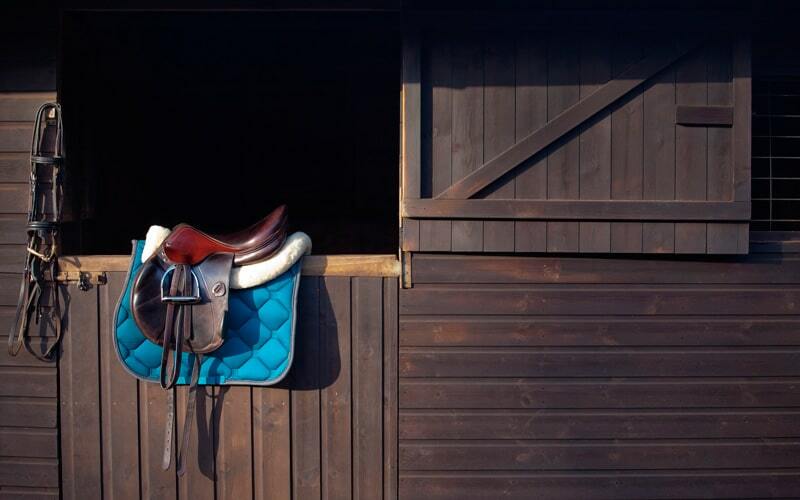 The saddle and stirrups are some of the tools that the horse will need. At the same time, it will be necessary to have some veterinary knowledge, or else, be accompanied by a professional. As you can see, the option to do the Way to Santiago by horse is not easy. It isn’t the cheapest alternative too. Despite all of this, it could be an unforgettable and unique experience. If you’re a passionate rider and love horses, you cannot miss it! Train with your companion in advance and you’ll not regret it. If you decide to do the Way to Santiago by horse, what better idea than finishing your journey together in the Obradoiro Square? If that is what you want, you must call the Civil Protection Unit of Santiago de Compostela one day before your arrival. This is a mandatory procedure: you’ll need an authorization to enter the square with your horse, where you’ll celebrate your achievement together.